Baileys Domestic Appliances - Appliance Services/Repair based in Salisbury, Wiltshire. Established in 1982, our business has been built on commitment to solid business ethics and a passion for providing service excellence in everything we undertake. We ensure that we are competitively priced in the market. In 2018 we diversified into Water Softeners and Filters. 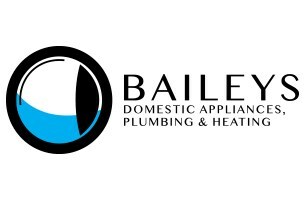 We are committed to offering exceptional after sales service, Baileys have a well-established engineering division that takes care of in-home domestic appliance repairs as well as in-store small appliance and vacuum cleaner repairs. Vacuum Cleaner bags as well as various appliance spares and accessories are sold at our Fisherton Street shop. In March 2019, we launched our new Plumbing Division to provide a quick and efficient response to your plumbing emergencies. In 2019 we became members of Checkatrade. Baileys Domestic Appliances offer High Street services at internet prices. Visit our modern showroom at 48 Fisherton Street! Please check our page on Facebook!